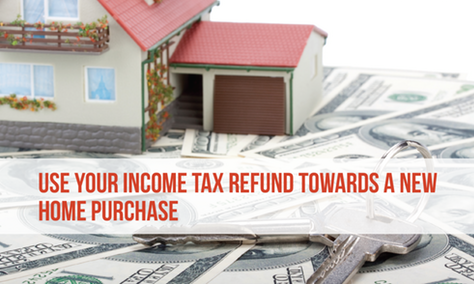 • Use your income tax refund towards the down payment. When using FHA financing, only a 3.5% down payment is required. • Use your tax refund towards closing costs. • Pay off debts with your tax refund to improve your debt-to-income ratio and credit score. • Keep your tax refund in your bank account as reserves which are required to qualify for a mortgage. • Use your tax refund for moving expenses or home improvements.